HPrunning HP Makes It 14 Straight Quad Meet Sweeps! 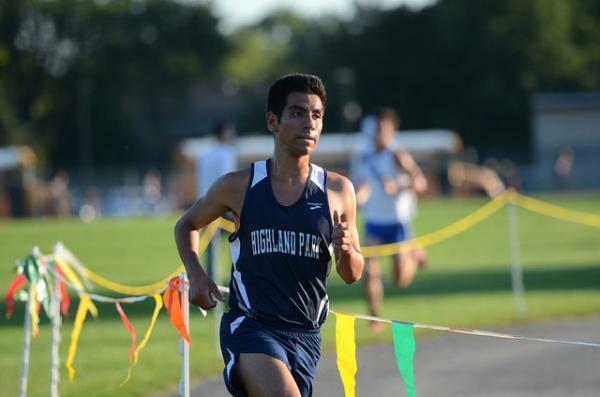 Going into the first of two Quad Meets for the 2018 season, Highland Park knew they would have a tough battle. Deerfield has a very deep team and Vernon Hills is strong as well. The team was mentally prepared to bring their best to the Deerfield course. The Giants were ready to slay their competition! As the gun went off, HP got out well to take control of the race. Senior Jose Reyes went right to the lead with sophomore Jason Polydoris not far behind. They wanted to establish the tone for their teammates at the front of the race. Their teammates behind them were doing their part as well with 4 guys packed up together in great position (senior Jordy Mazza, junior Corey Fairchild, sophomore Erik Anderson, and freshmen Alex Brown). At the mile Reyes made the commitment to push the pace and nobody was willing to go with him as he pulled away for the victory in 15:30. This was an incredible performance after a sub-par race in Peoria and being sick. Reyes showed his tremendous leadership and toughness as he dominated the race. Polydoris worked hard to stay with Deerfield’s number one runner as he finished just 3 seconds behind him to take 4th place overall in 15:59. The next four finishers for the Giants displayed incredible pack running. Brown led the pack early with each guy battling to stay with their teammates. Eventually, Fairchild took control of the pack and worked to chase down Deerfield’s number two runner. Anderson was at the back of the pack early, but moved into position to help push his teammates. Mazza faded back and pushed himself back and forth with the pack. 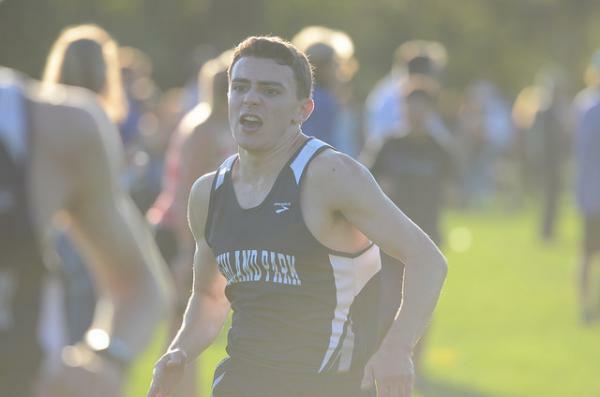 Vernon Hills had a pack of 3 runners trying to catch the HP pack. In the end Fairchild finished just 2 seconds behind Deerfield’s number two runner with a time of 16:42. Next in was Anderson in 16:47. Mazza had fallen behind a pack of 4 runners, but with just under 400 meters to go he took off and passed all of them to catch his teammates and finish in 16:47. Brown capped off his strong race to finish in 16:49. HP took 1,4,7,8,9,10 in the race to win against the 3 other schools. HP 22-DF 36, HP 19-VH 40, HP 18-MW 41. This makes it the 14th straight Quad Meet Sweep for the Giants program! That is the equivalent of winning 42 straight dual meets! 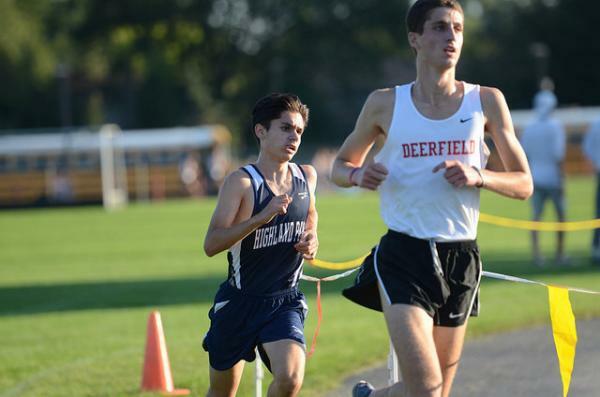 The team knows it needs more help outside of the top 6 runners to match Deerfield’s and Vernon Hills’ depth this season and in future years. 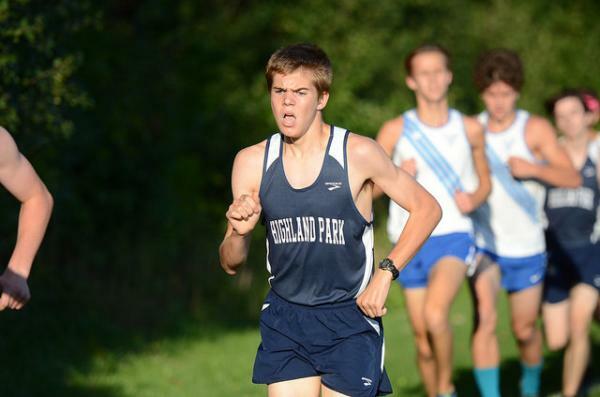 Sophomore Evan Diethrich was the next runner in for HP in 18:26 followed by senior Jack Schulman in 18:39. The Giants had a pack come in after that within 16 seconds of each other (sophomore Mason Goldstein 19:05, senior Ben Gordon 19:12, sophomore Tyler Carlson 19:13, junior John-Henry Ohlwein 19:20, and sophomore Jack Levine 19:21). This group knows they have to work hard and stay consistent with their training so that their performances can contribute more to the team’s success. The freshmen did not have the same level of success as the varsity, but continued to show improvement. They lost to all three schools that each consisted of a mix of freshmen and sophomores. Hunter Kells and Alejandro Seiden took a risk early and got into good position. As their training progresses they will be able to hold on better each race. Kells ended up taking 16th in 12:49 while Seiden finished in 28th with a time of 13:28. Next in for the Giants was Avery Garcia. He had a very strong race to finish in 14:40. 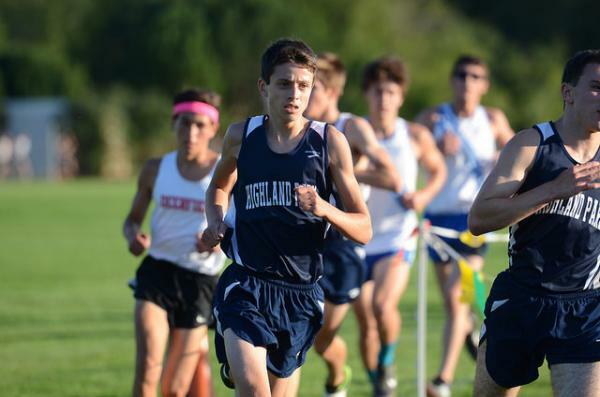 He was followed by a pack of 3 HP runners (Ethan Sharobeem 15:09, Nick Aguirre 15:16, and Ted Zinoz 15:27). 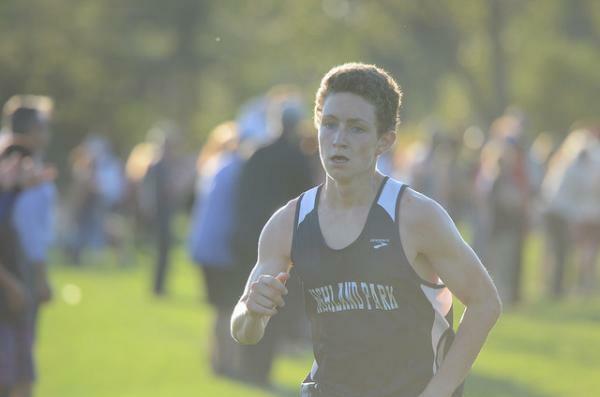 Ethan Nicolaz-Davidson competed in his first meet of the season and finished in 21:28. These freshmen must realize that it will take a great deal of determination and commitment to progress to a level that will help keep the program successful in the coming years. They have the ability to do that if they believe our philosophy that “Training Beats Talent Over Time”.